Two Cooper Union engineering sophomores were awarded the $10,000 grand prize at the MedTech Impact Challenge Quadruple Impact Challenge in Las Vegas on December 14. 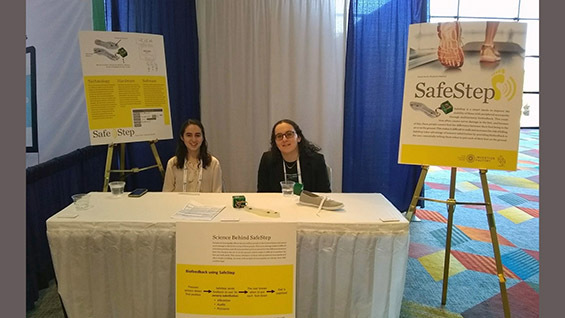 Naomi Javitt (mechanical engineering) and Stephanie Raphael (civil engineering) presented a poster for their invention Safe Step, a device to aid those with peripheral neuropathy, in front of an audience that included a distinguished panel of experts who served as the competition's judge. This video explains their invention. Another pair of Cooper students also competed: Benjamin Kaplan and Alon S. Levin, sophomores studying electrical engineering.